I currently reside in Mississauga but was born and raised in a French Canadian family in Val Caron, Region of Sudbury Ontario. As far as I can remember, I have always been artistic. 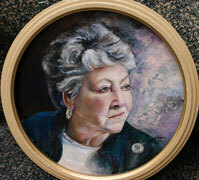 However in recent years was inspired by my mother to start teaching myself the art of portraiture. 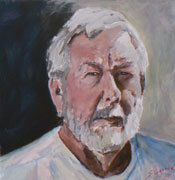 I paint for the love and personal satisfaction of creating something beautiful that I am able to share with a viewer. Portraiture is now a lifelong passion and a calling that I am sincerely grateful for every moment that I am able to indulge.